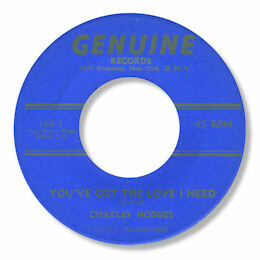 New York artist Charles Hodges is another of those singers with a big big talent but little commercial succes who seems to have largely faded from view. He deserves better. 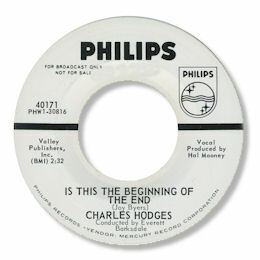 Hodges first 45 for Philips "Is This The Beginning Of The End" is a strong uptwon ballad with a good melody, and this and his first Alto single "There Is Love" revealed a singer with a clear tenor voice with an obvious gospel background, complete with a couple of lovely falsetto flourishes. But his later 45 for Thomas Robinosn's group of labels featured the first couple of his masterpieces. Bless Your Heart is a fine ballad but You Were Using Me is in a different zone altogether. This is classic Big Apple deep soul of the highest class. 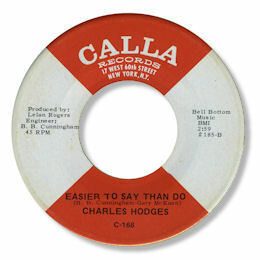 Built around the chord changes of Solomon Burke's "The Price" from the previous year, Hodges sings his heart out - just listen to the wonderful vamps in the run out groove. This lovely run of tracks continued with the excellent self produced double sider Try A Little Love / "Someone To Love Me". 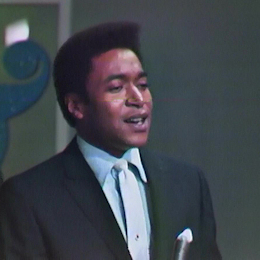 The flip was a very well judged ballad, with Charles adding some real throaty grit to his voice. The top side is even stronger, with Hodges in full throttle mode - superb deep soul. His next release for the odious Nate McCalla was recorded in Tennessee by Lelan Rogers and Easier To Say Than Do is rightly regarded as a top pick by all deep soul fans. Every time you hear this awesome track you hear something new in Hodges desperation - and the chord changes are just sensational. Love the "open" arrangment too. It was also released on Rogers' own label under the "Little Johnny Blair" pseudonym with a different flip. Sadly Hodges never recorded anything else to match this - indeed it would have been extremely difficult - but back in New York the hard edge seems to have deserted him and tracks like "What's Gonna Happen To Me" and "Loving You (Is Beautiful)" were pleasant but unremarkable. But there was one final surprise. 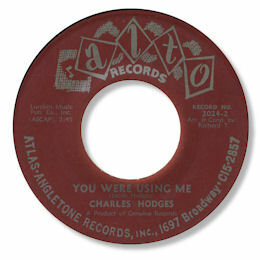 Hodges turned Lonnie Donegan and Jimmy Currie's I'll Never Fall In Love Again into a big production uptown weepie with considerable artistic success. Nice. 1. "You were using me", "Charles shing-a-ling" and "Bless your heart" can be found on the Re CD "Soul Gems". 2. Thanks to Marie Breen for the suggestion. Marie's highly engaging and varied musical blog can be found here. UPDATE ~ I'm grateful to all those who wote to me pointing out the carelees mistake (now corrected) I made over the details of the House Of The Fox 45 including Pete Nickols (who also kindly provided the CD info - now included above), Dave Turner and Naoya Yamauchi. Naoya also points out that "according to Mr. Sakurai's Encyclopedia of Soul book, he came from Wayne County, NC, even though his activity as a soul singer was in NYC. I believe so because his name is credited on Arthur Freeman's 45 on Jumbo." I don't see the last point but any info on Charles is extremely welcome. Naoya goes on to ask "which one was the original version, Sam Dees on Lo Lo or Charles?" This is a good one - my view would be Charles had the first cut as I think the Lo Lo 45 came out in 1970 - but as always I'm very happy to hear alternative views.